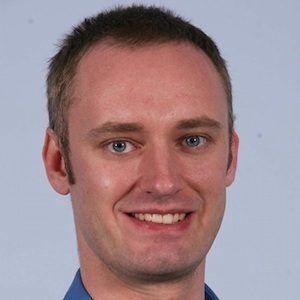 Dr Owen McAree is a senior research officer at Liverpool John Moores University (LJMU) specialising in drones. He completed an MEng in Aeronautical Engineering in 2009 and a PhD in autonomous drone operation in 2013, both at Loughborough University. His PhD research was awarded the Royal Aeronautical Society Unmanned Aerial Systems Innovation Award in 2012. Subsequently, he worked as a senior research fellow in the safety of autonomous vehicles at the University of Sheffield. At LJMU Owen is responsible for overseeing the drone-related research and teaching activities within the faculty of Science. He manages a small team whose role is to undertake technical development of aircraft and associated equipment, develop data processing techniques, train up staff and students, and undertake day-to-day operation of drones. His areas of expertise are aeromechanical design (fixed-wing, rotary-wing and hybrid systems), sensor systems, autopilot systems, software systems, computer vision systems, autonomous operation, Extended and Beyond Visual Line of Sight operations (E/BVLOS) and safety assurance. Owen is a member of the UK Governments Drone Industry Action Group and both the BSI and ISO committees regarding drones. Outside of his day job he is also a private pilot, which gives him a unique insight in to the airspace that drones are trying to integrate with.